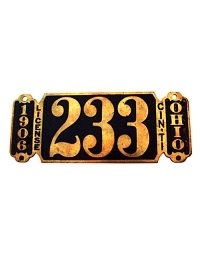 Our story begins in 1901 when the State of New York and the City of Cleveland, Ohio realized that it was time to begin requiring license plates for motorcars. The purpose was not to raise revenue – there weren’t enough autos on the road then to matter – but rather to get a grip on the speeders and reckless drivers of the day who were well known for frightening horses and otherwise generally running amuck on city streets. The thought was that if autos were tagged with a big number plate, the ‘scorchers’ could be identified and held accountable for their recklessness. It worked! Vehicle owners simply visited city hall or mailed a form to the state capital, paid a dollar or two, and received a numbered certificate or medallion as proof of registration. 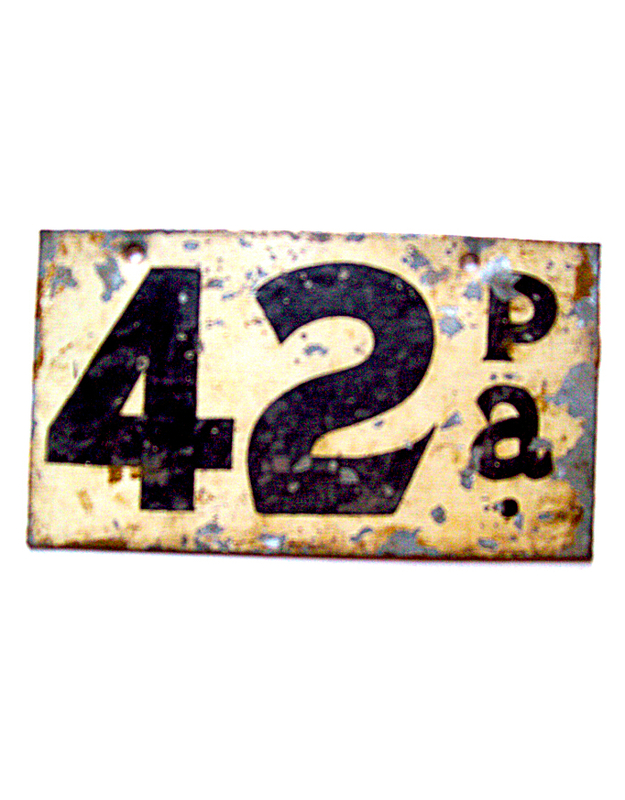 Then, the owner had to find a way to display that number on the rear of the auto. 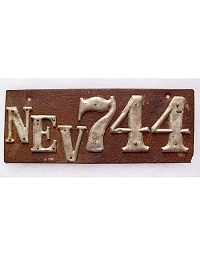 Often, it was simply painted on the seat back, but in most cases an actual license plate was fabricated from whatever materials the owner preferred. 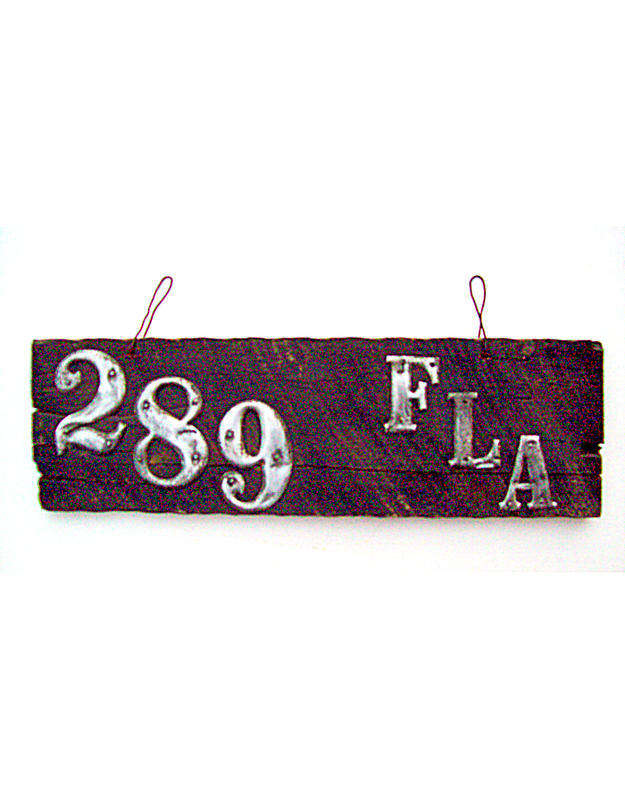 Often, house numbers were tacked to a finished (or unfinished) piece of lumber, and it was hung from the rear axle by wire or straps. 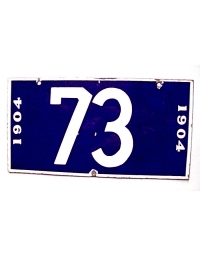 Other motorists chose to visit a local hardware store and fashion the license from sheet metal and house numbers. 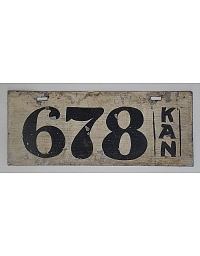 Later in the decade, hardware and auto supply houses would offer various pre-fabricated kits for making license plates. 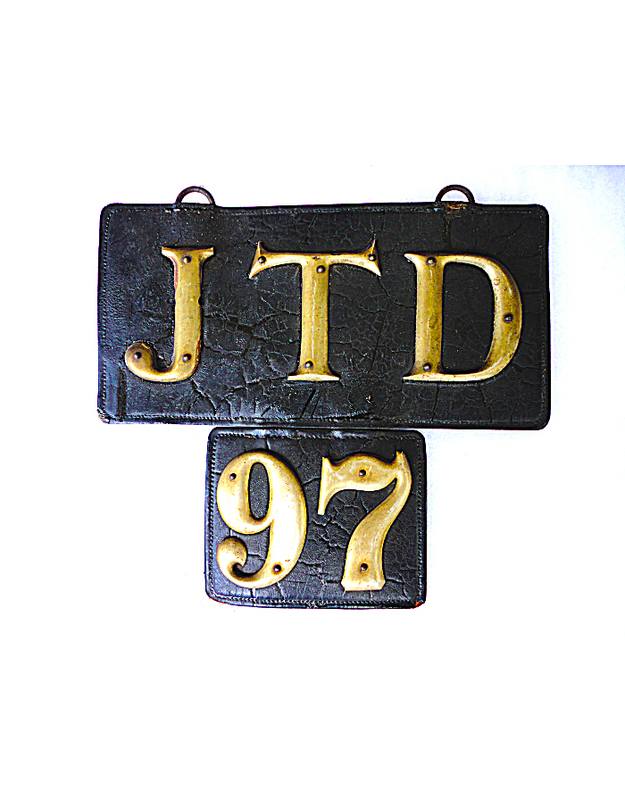 In the first decade of the century, the most common means of making a license was through the local harness shop. And that’s where leather comes into the picture. 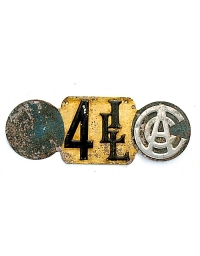 Tack shops could see that their trade – and business – was ending rapidly as the automobile began replacing the horse and buggy. Demand for saddles, buggy whips and other horse-related goods was disappearing, so businesses looked to the automobile trade. 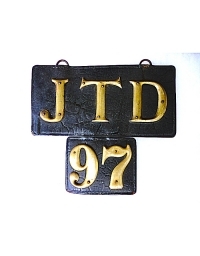 Seats and tops were obvious goods they could provide, and so were registration plates. The first individual to realize that auto tags could be made of leather is long lost to history – but it was a good choice. 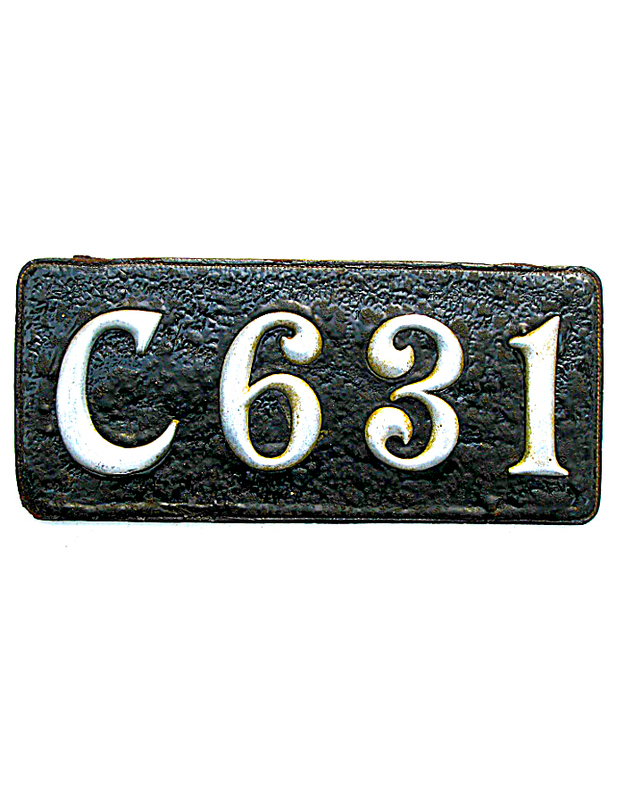 Leather was supple and pliable, would not easily rip or tear, and could be drilled, stitched and punctured by the rivets used to secure the registration numbers. It was a natural, and by the middle of the decade house-numbers-on-leather became the dominant materials for making license plates. New York was the “first” state. In the former, numbers were issued to automobiles in sequential order from 1901 thru the middle of 1908. 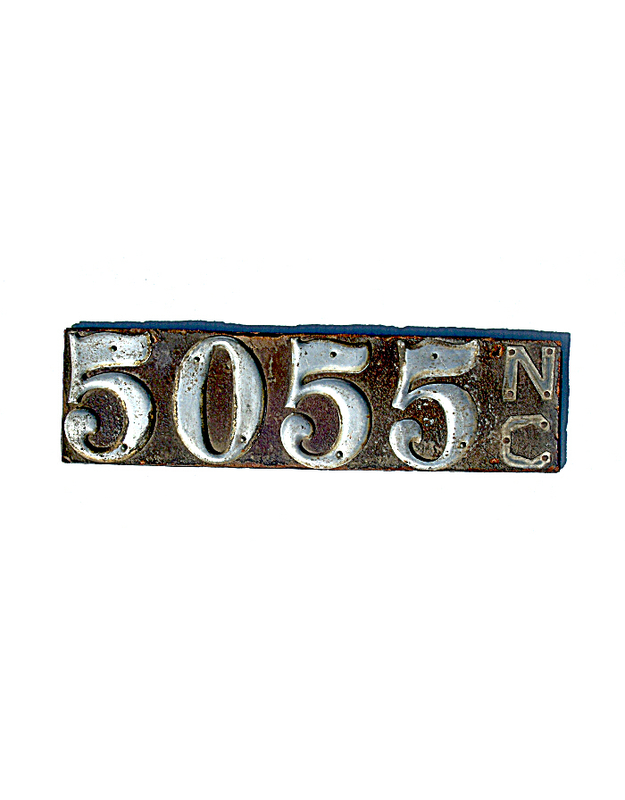 New York State also began that same year, but kept the owner-made system going through 1910 – issuing over 105,000 individual registration numbers before beginning official state-provided plates late in that year. 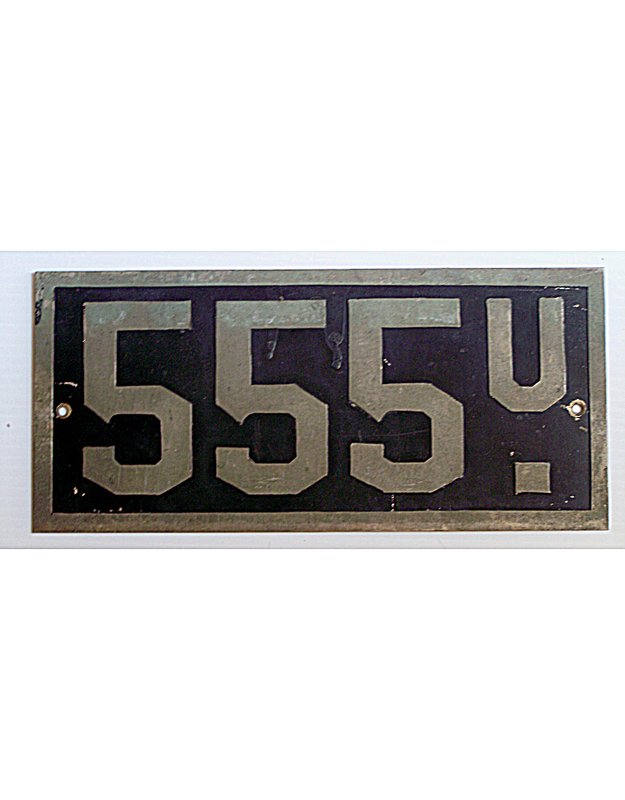 In 1902, New York State decided early on to use their license plate law as a means to teach a lesson to the speeders and the reckless. Not being content to issue a number, New York required the owner to place his initials on the backside of the machine, for all to see. But as a first step, owners had to file paperwork with the Secretary of State in Albany, declaring their full name and address – before placing their initials on the car. Think about it – if Mr. E.F. Lowe of 200 Broadway, New York City stampeded someone’s horse by speeding or making loud exhaust noise, his initials “EFL” would be plainly visible as he drove off. Any witness could report those initials to the constable and Mr. Lowe might have some explaining to do! 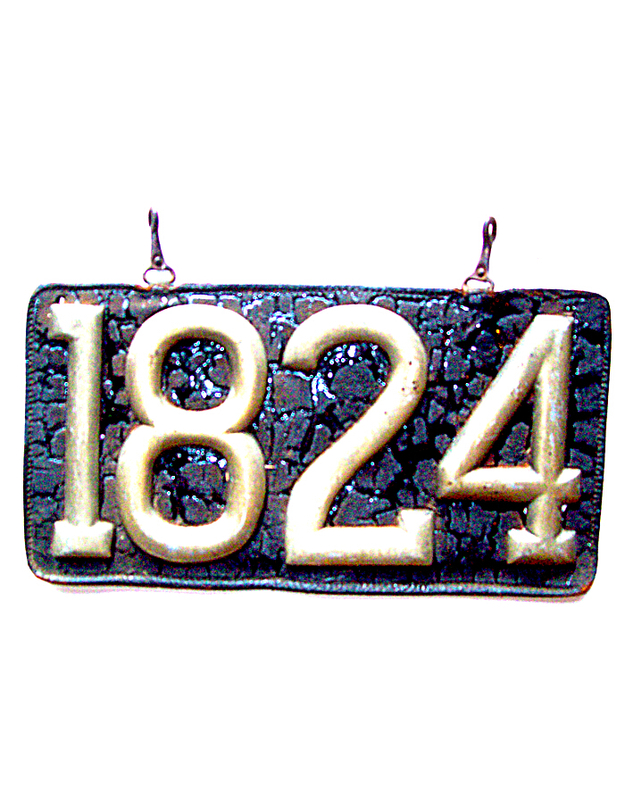 In 1903, Philadelphia became the first municipality to issue an official regulation pre-state license plate. 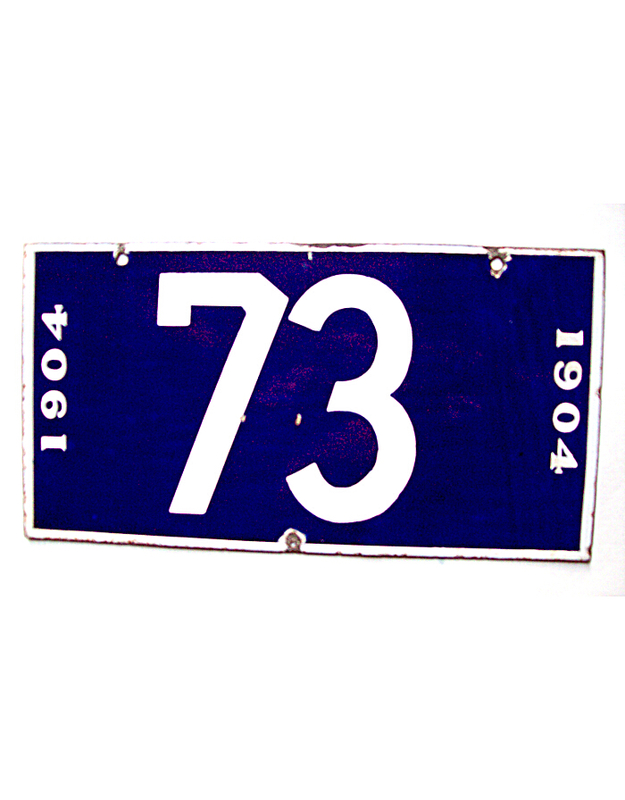 Made of thick steel with a two-color porcelain enamel finish, this small blue and white tag had the additional distinction of being the first dated license plate in America. 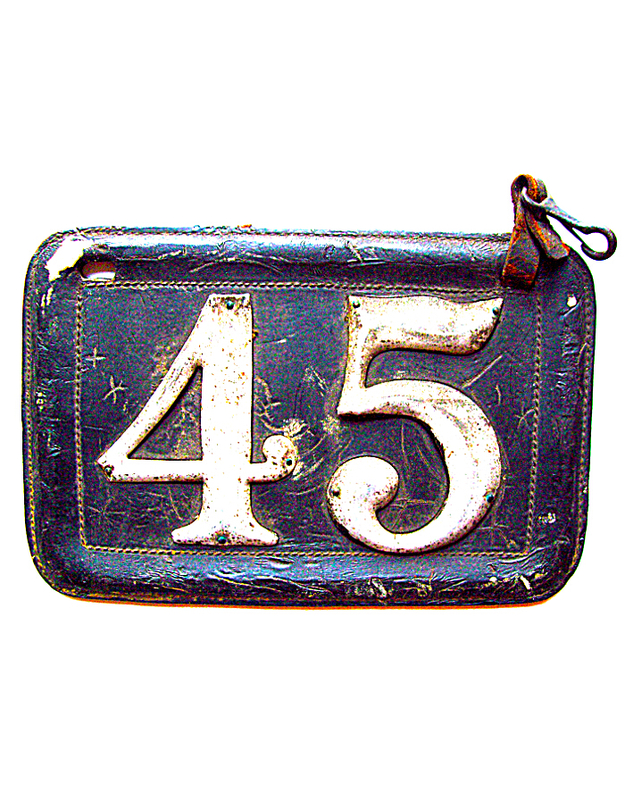 It was valid only for one calendar year, being replaced the following year by an entirely new annual tag in differing colors. 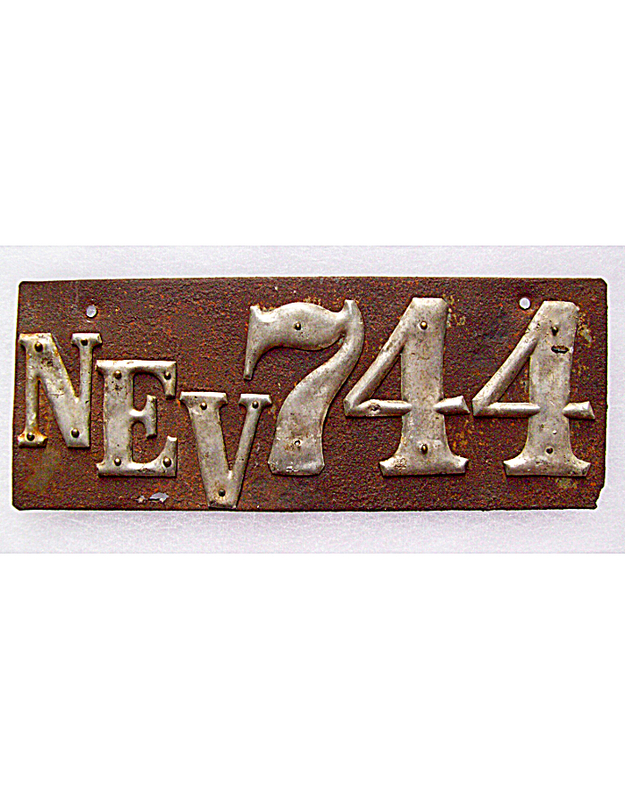 Thus began the tradition of yearly licensing with new plates – which continues everywhere today in America. 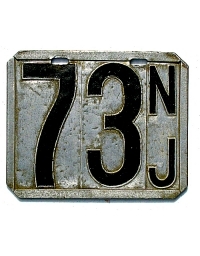 Connecticut, Massachusetts, New Jersey and Pennsylvania also began requiring license plates in 1903, thus becoming (with NY) the first political jurisdictions in America to require statewide auto licensing – and beginning the gradual transformation from local and municipal plates to the state-based system we have today. But these four jurisdictions were unique in 1903. 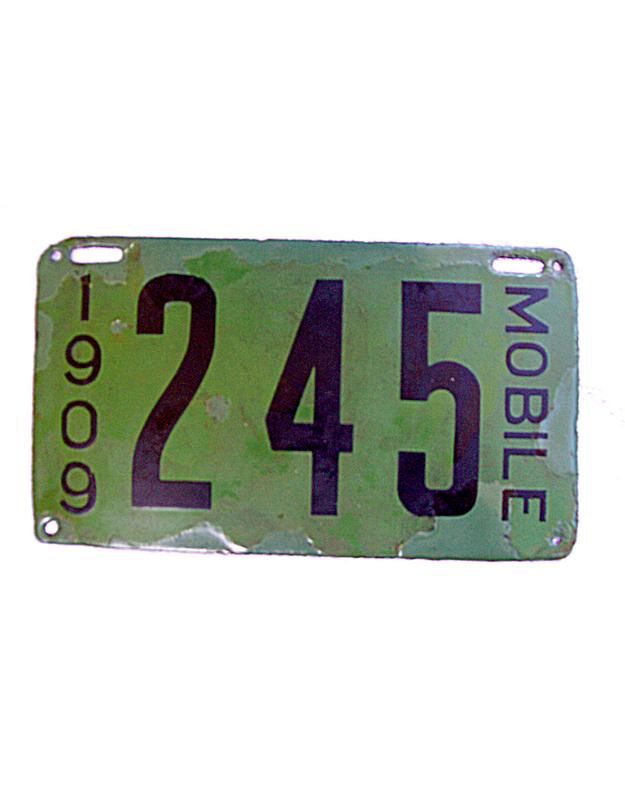 Auto licensing remained, for the most part, a local affair using plates provided by the owners. 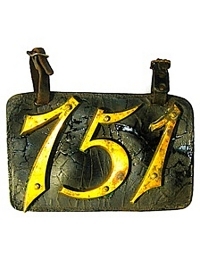 Massachusetts issued an official statewide license plate that year, becoming the first state to do so, but Connecticut relied on individual owners to provide their license plates – usually of leather with house numbers attached. Automobilists in 1903, being for the most part from a privileged sector of society, resented and resisted registering their cars. 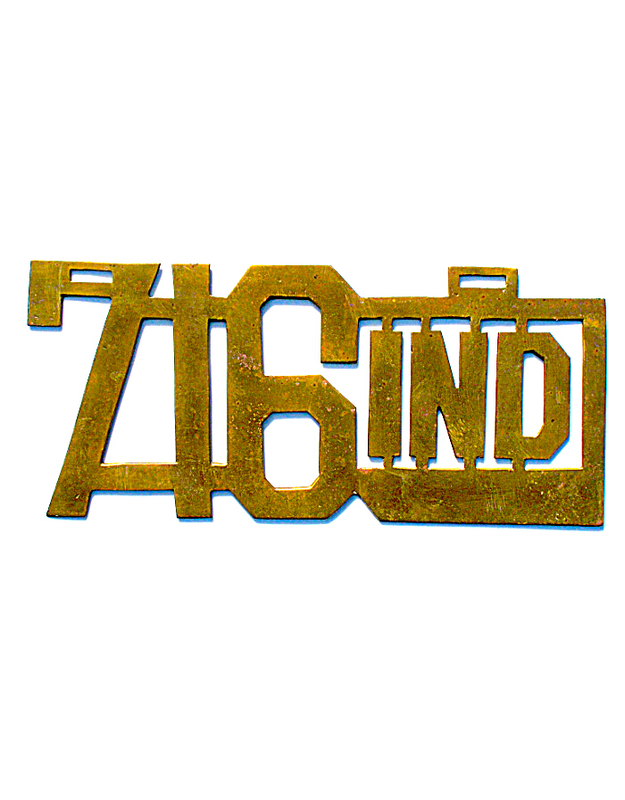 Often, motorists would simply hire someone to make up a fictitious number tag to run on the back of the auto without regard to the formalities of licensing. 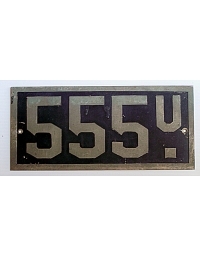 The City of Chicago in 1903 countered the trend of fake plates by actually issuing the individual digits for one’s registration number from city hall – requiring the owner only to mount them on a suitable pad. 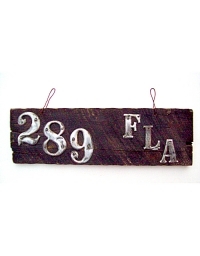 These digits were fully 6-inches tall and were in a font style not available in hardware stores. 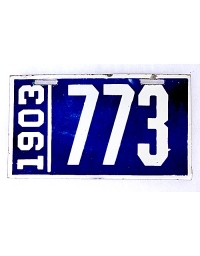 Supposedly, counterfeit plates could be spotted easily since they would not conform to the “official” number style. 1903 also saw the beginning of licensing in Cincinnati, Detroit, and Memphis; Minnesota and Pennsylvania on a county-by-county basis. The Commonwealth of Pennsylvania delegated the responsibility of issuing numbers to each individual county government. 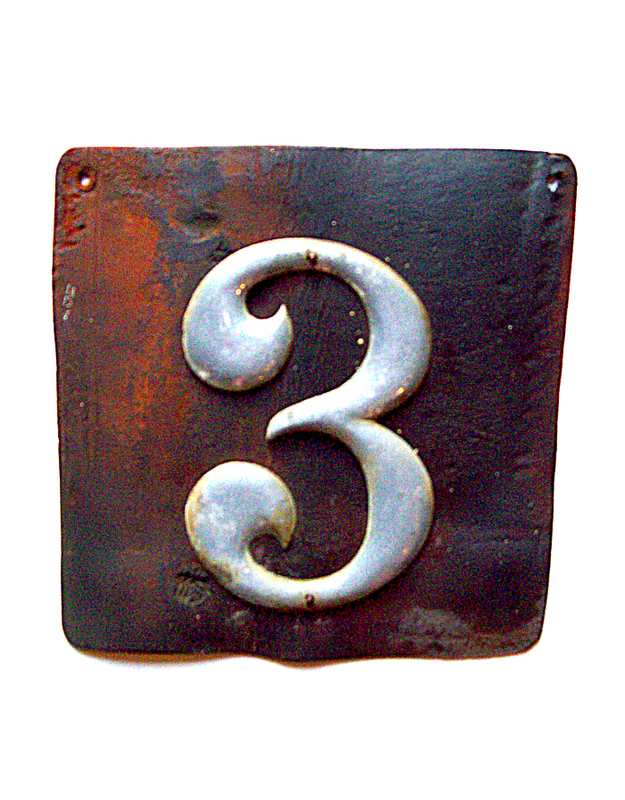 Owners were required to register with their county tax collector, and each county’s numbering system began at “1”. In 1903, of course, there were no autos at all in many counties and in others only a very few. 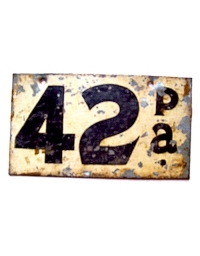 Thus, those few surviving license plates issued under Pennsylvania’s system all have low numbers, but it is impossible to determine which county the tag is from. 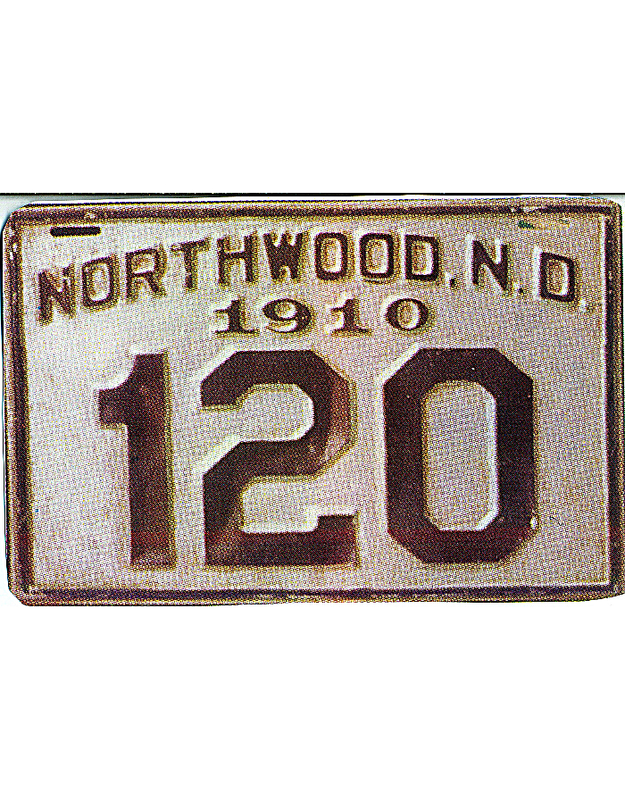 Minnesota had a complicated system where numbers were issued by various levels of government – townships, cities and counties alike – but there are no known plates as early as 1903 that are identified as to origin. 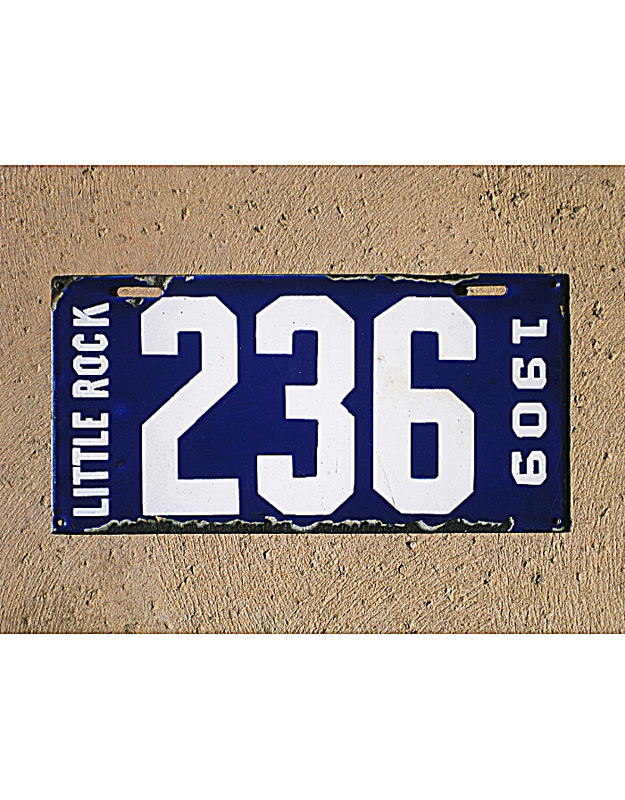 The city of Memphis, Tennessee, began requiring the display of automobile license numbers in September, 1903 – thereby becoming one of the earliest jurisdictions in the nation to require owner-provided plates. 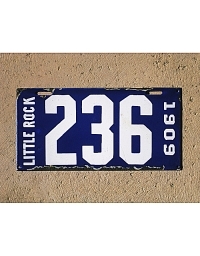 Of even greater significance, however, is that Memphis became the first place in the south to register automobiles. 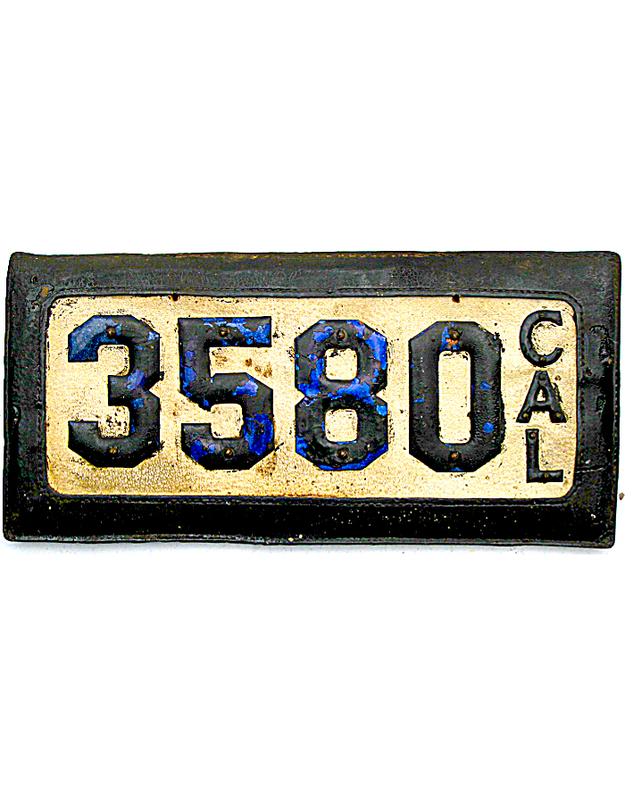 1904 saw Maryland, Iowa and Rhode Island enter the field of states requiring automobile registration. 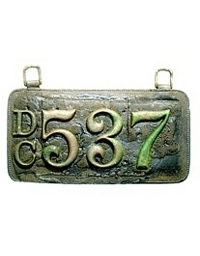 R.I. issued a standardized regulation license plate made of porcelain enamel fired onto thick steel, but Maryland and Iowa required owners to provide their own tags – often of leather. 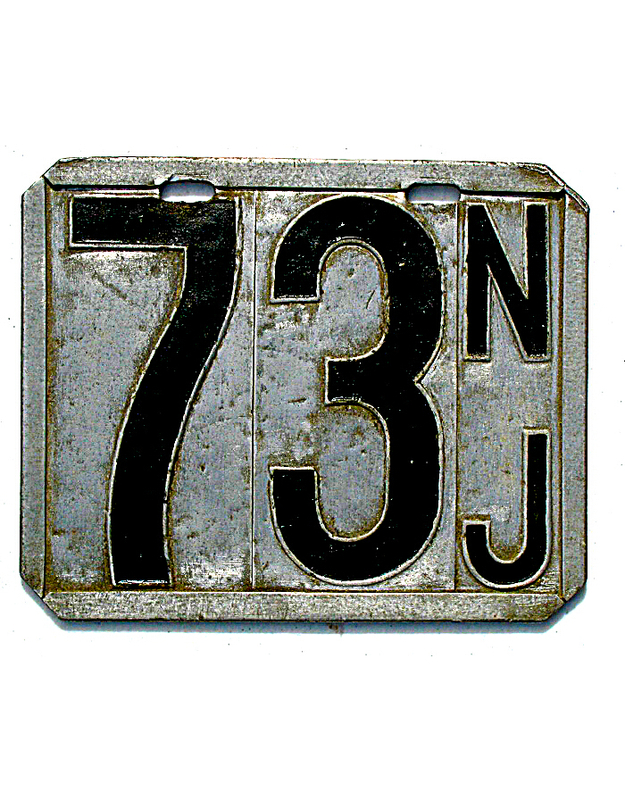 Many Maryland plates of this era are difficult to identify since the letters of the state abbreviation were not required. Iowa, however, did require the state initials “IA”; Iowa was the first state west of the Mississippi River to begin registering autos on a statewide basis. 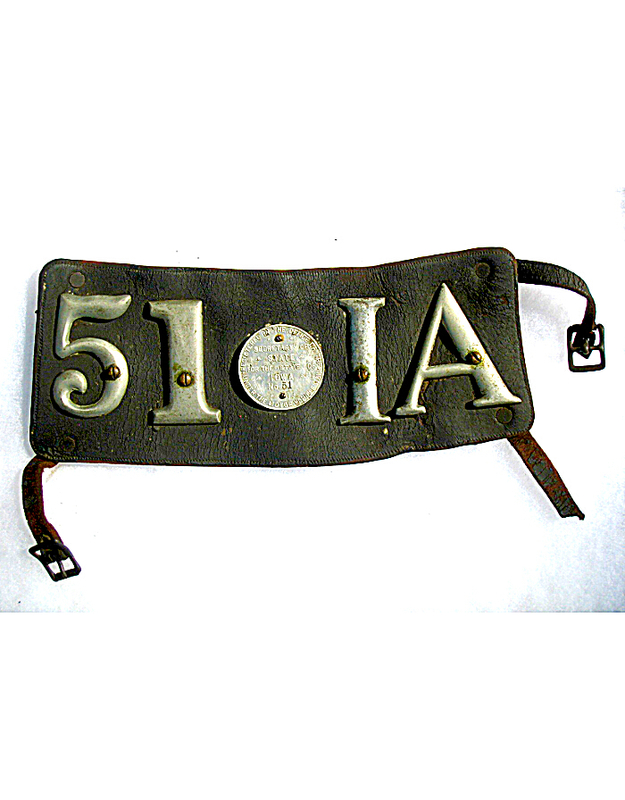 In 1904 the City of Chicago discovered that, despite their best efforts, too many motorists were using fictitious owner-provided leather tags, and so in that year began issuing regulation standard license plates. 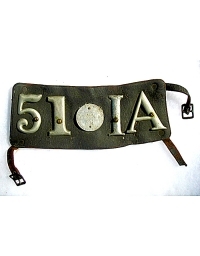 North of Chicago, the City of Milwaukee also began auto licensing in 1904 with a leather tag, probably city-issued. 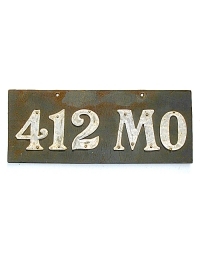 St. Louis began using official porcelain license plates also that year, no doubt as the result of the World’s Fair held in that city in 1904. 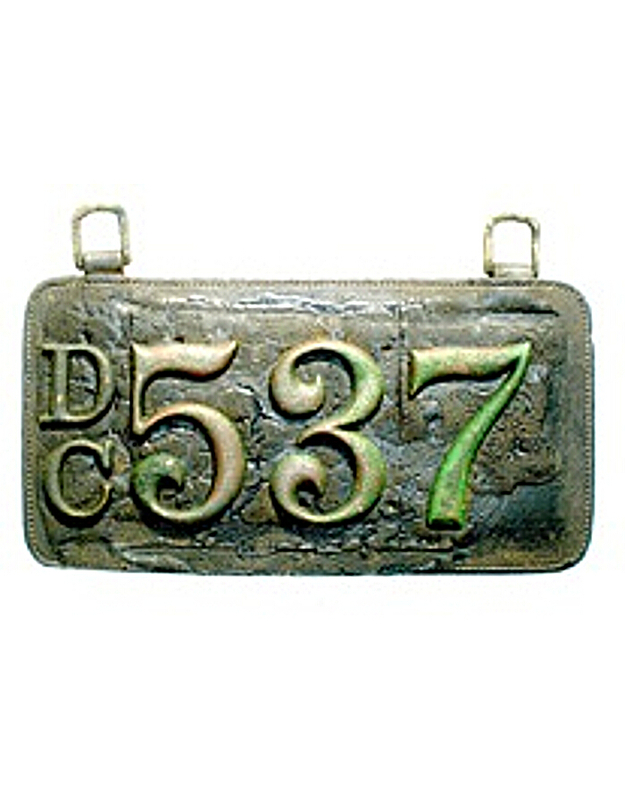 Washington DC joined the ranks also in 1904, requiring motorists to use a home-made tag with the initials “DC”. 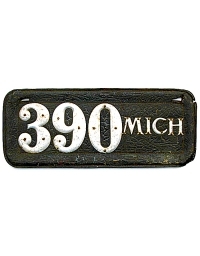 1905 saw a veritable explosion of states and cities beginning to license motorcars. Connecticut abandoned its system of owner-provided licenses, mandating official state issued plates late in that year. 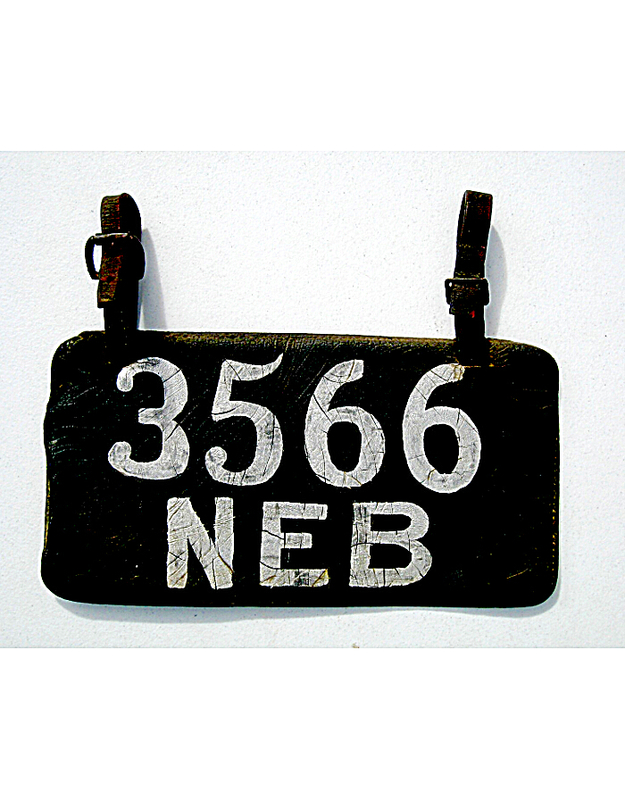 The three states of northern New England – Vermont, New Hampshire, and Maine – all began issuing official plates. 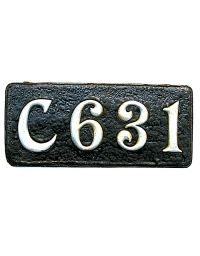 Thus, by the end of 1905 all six New England states had official standardized license plates in use; only Connecticut had formerly required auto owners to provide their own pre-state tags. Significantly, 1905 was the year that some western and southern states began to regulate the use of autos within their borders. 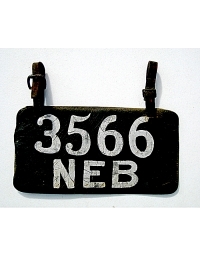 Up until 1905, license plates were primarily found only in certain big cities and northeastern states. But during that year, Tennessee and Florida became the first southern states to pass auto laws. Oregon, Washington and California pioneered the concept in the west; Wisconsin, Nebraska and South Dakota joined Iowa as two more heartland states to participate. 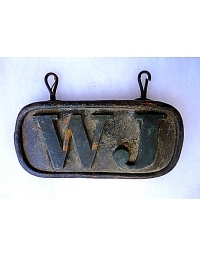 Of all these states, only Wisconsin issued a standard license plate to all motorists, the others required owner-made pre-state licenses – most of which were leather (as one might expect in states with large livestock populations). 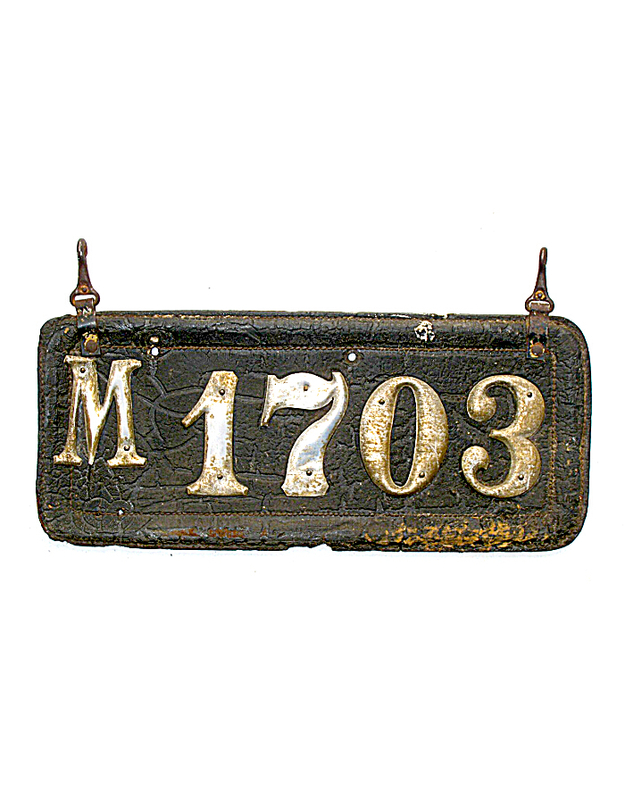 In the industrial midwest, Michigan and Indiana began requiring motorists to provide their own licenses first in 1905, and in the east tiny Delaware finally joined neighboring Pennsylvania and Maryland in using owner-made license plates. 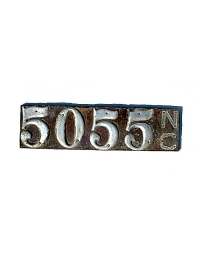 In 1906, a few new jurisdictions began licensing automobiles for the first time. Regulation of the automobile had already been accomplished in those cities and states where the motorcar had become a significant factor in daily life; in more remote places it simply wasn’t worth the time to pass legislation for the very few cars out there. 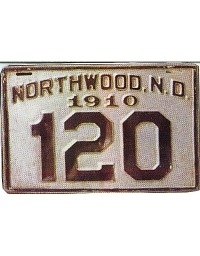 1906 was the beginning of auto licensing in the Rocky Mountain region when Denver and other Colorado towns passed automobile laws, along with Cheyenne, Wyoming. 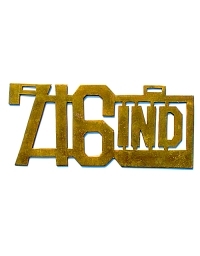 Cincinnati became the first city in Ohio to issue a license plate in 1906, providing a beautiful engraved brass pre-state tag to all motorists. 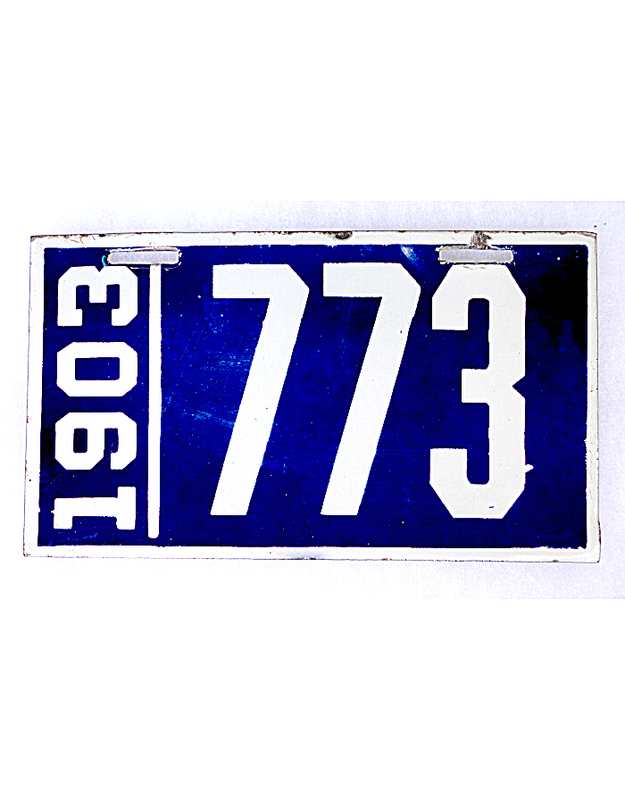 Virginia and West Virginia issued standard plates for the first time in 1906. 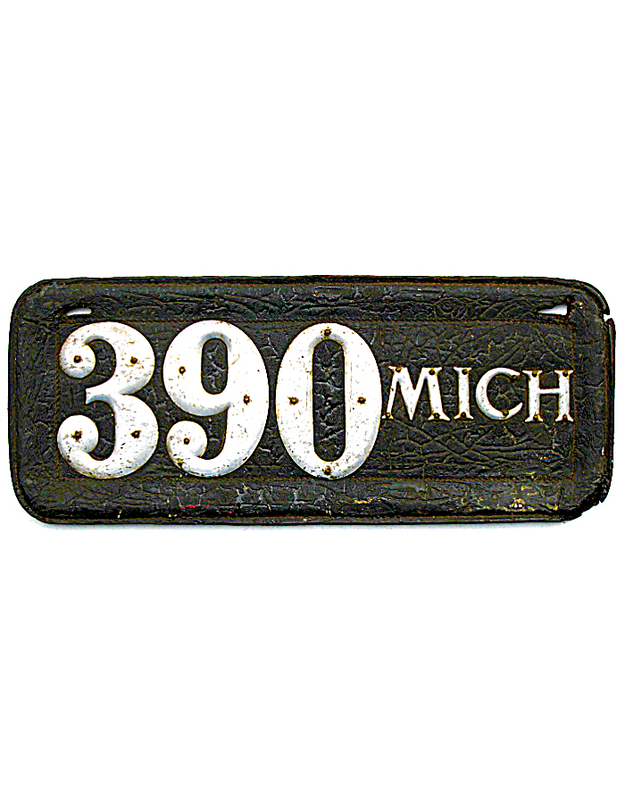 1907 was the year when the remainder of the Midwestern states came on-line with auto licenses. 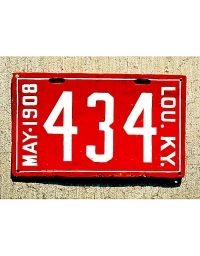 Illinois and Missouri approved statewide registration that year, both requiring owner-provided pre-state plates; North Carolina became the 4th southern state to license motorcars. Texas began a system of county-by-county registration similar to that used in Pennsylvania from 1903-06. 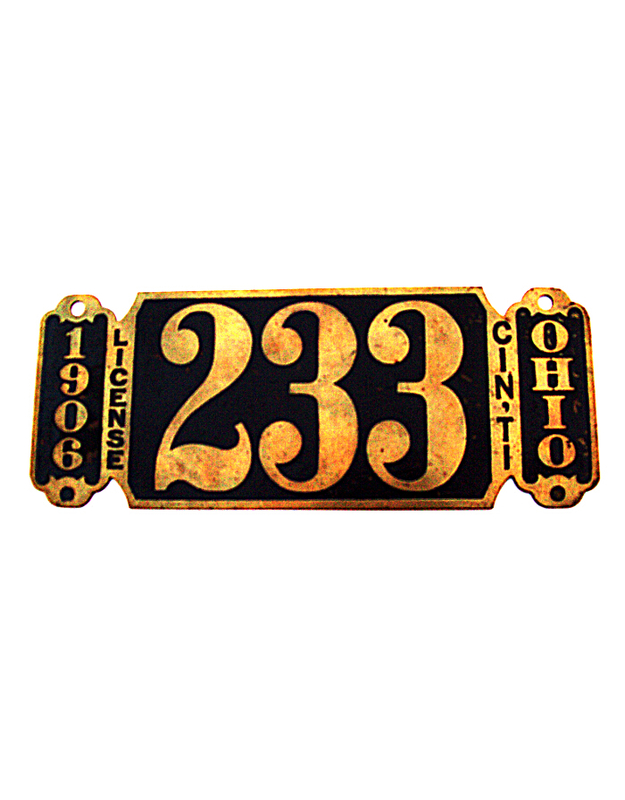 Several Ohio cities began licensing in 1907. 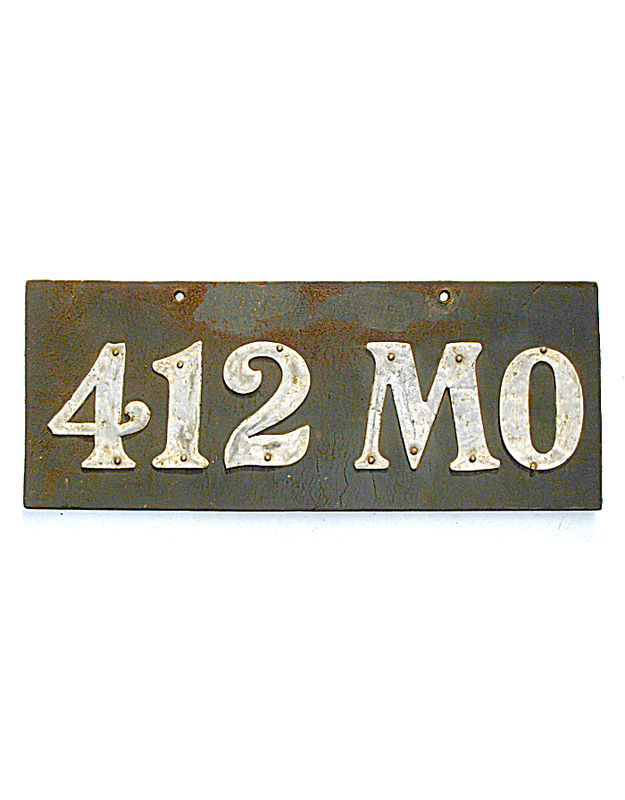 And in the oil patch of Oklahoma the capital city of that newly formed state began issuing official license plates. By 1908, automobiles had begun to evolve from expensive sport machines – with little or no utilitarian value – to implements of the workplace and for general local transportation. 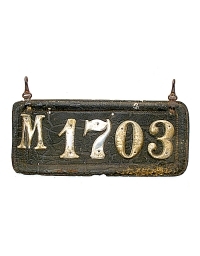 Most of the industrialized and heaviest populated cities and states had developed systems for licensing the motorcar, and standardized official license plates were becoming more of the norm. Still, there were places in the nation where licensing first began only during the last years of the decade. 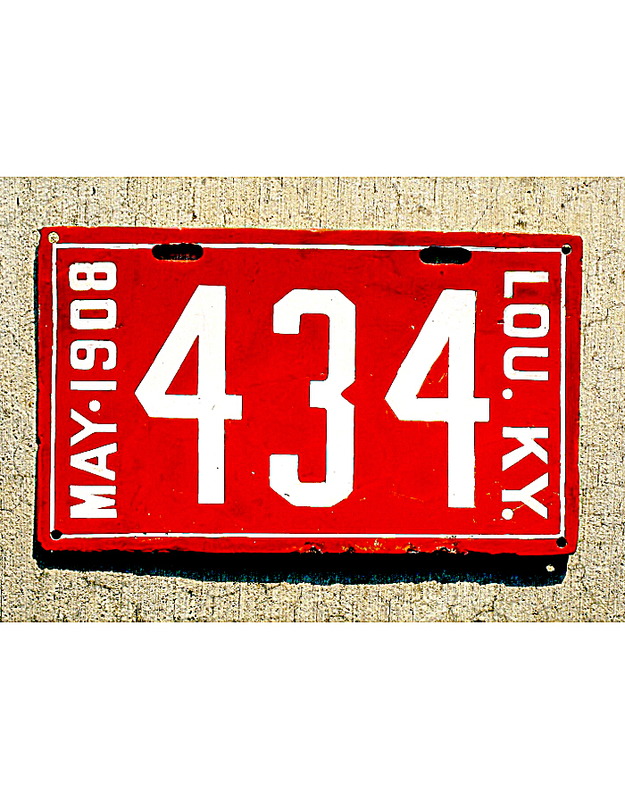 The Kentucky city of Louisville began using local license plates in ’08. 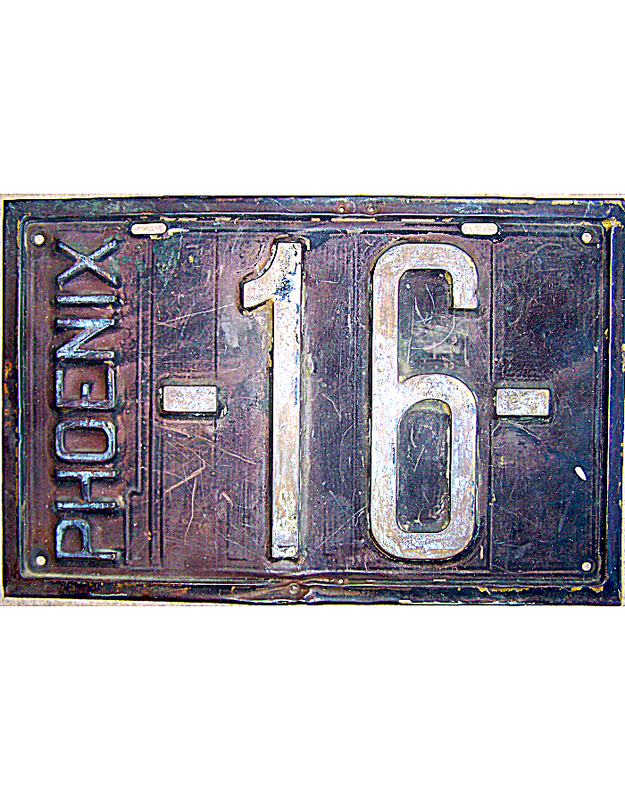 And in Arizona, Phoenix, Tucson and Prescott are all known to have issued standardized pre-state license plates. 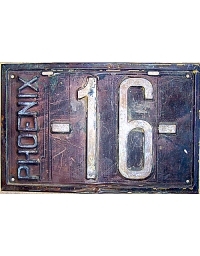 The State of Arizona itself required owner-made plates in 1912 and 1913. 1909 saw the introduction of local plates in certain Kansas municipalities, in Atlanta, and a few additional towns in Colorado. On the state level, Utah commenced a system of registering autos statewide using owner-made pre-state tags. 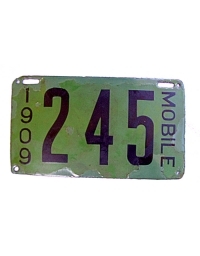 Also in 1909, the Alabama cities of Mobile, Birmingham and Montgomery issued official license tags, and the Arkansas cities of Fort Smith, Pine Bluff and Little Rock joined the ranks. 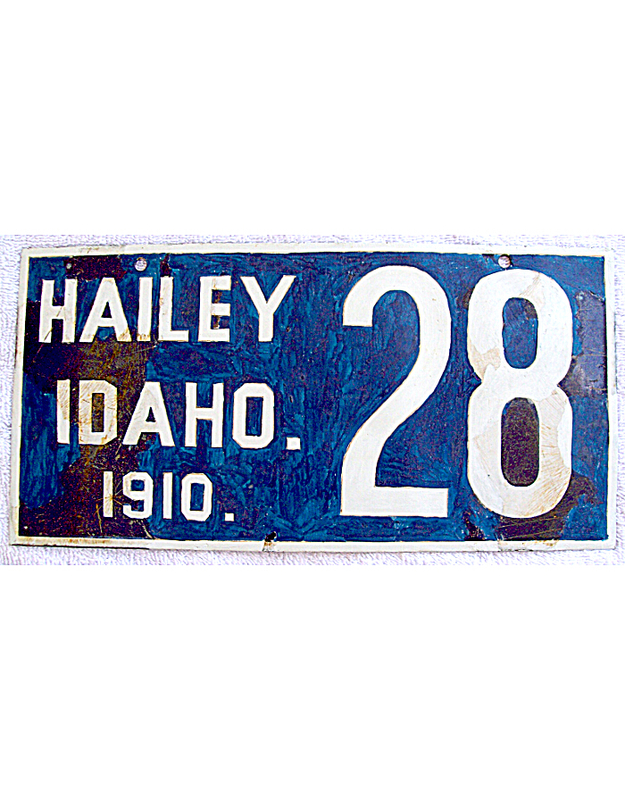 And, to round out the decade, in 1909 a very few municipalities in low-populated North Dakota and Idaho started using local pre-state plates. New Orleans and Charleston, S.C. also began licensing in 1910, with owner-made tags used in both cities. 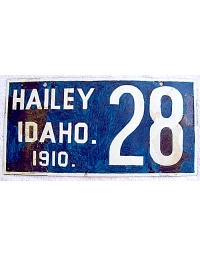 Although post-1910, Montana and Nevada are included in this survey in order that all states which used owner-made pre-state plates can be represented.